Locks are involved in many aspects of our daily lives. Think about it, not a day goes by that you don’t have to either lock something up or unlock it, whether it is your house, office or car. Locks are necessary to keep things you own and have value safe and secure. The need for security also raises a lot of problems. For example, you will need help if you happen to lock your keys in the car or lock yourself out of your house. Getting locked out of your car is both infuriating and embarrassing. It can really ruin your day. But everybody knows just what to do in this situation; you call Bostons Locksmith. Here are other reasons you might call a locksmith. We are willing to bet a whole lot of money that most of you out there have lost a key or set of keys at some point in your life. If you happen to lose a key to your house, you might not think it is a big deal. Most of the time, perhaps it is not that big of a deal. But what if you lost your key in front of your house? That could be a problem. Don’t take any chances, if you lose a key, call a locksmith to have the problem resolved. Just like some of the components in your car or in your furnace, locks will malfunction as well. And it doesn’t even have to be old to break down. Modern locks offer some pretty cool technology and have great features, but they are also prone to malfunctions. Should this happen to you, all you need to do is call Bostons Locksmith and help will be on the way. Buying a home is a big deal and there will be a million things you have to do when you move in. On the top of your to-do list should be to change the locks. Look, you have no idea who might have a key to what is now your home. Best you don’t take any chances. Locks are designed to last a long time, but just like everything else, they will eventually need to be replaced. Over time. locks can become wiggly or loose and they just don’t perform as well as they should. Check your locks today and see if they should be replaced. This has probably happened to many of you, even if you will never publicly admit it. When you are stuck in the rain or in the cold, you rush to get your front door unlocked or jam your key into the car ignition to turn it on and get the heat on. In this haste, you might not have the key all the way in before you turn it, resulting in a broken key and a few tears running down your cheek. 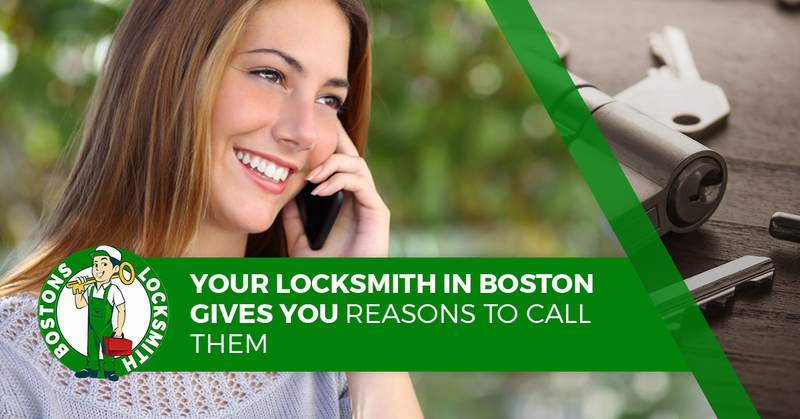 Don’t cry, just get on your phone and call Bostons Locksmith.